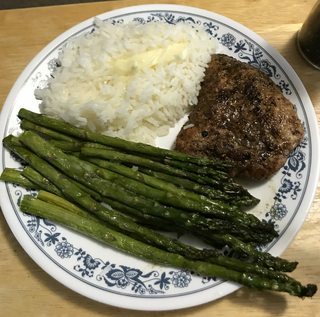 Nothing special here but it was quite tasty. 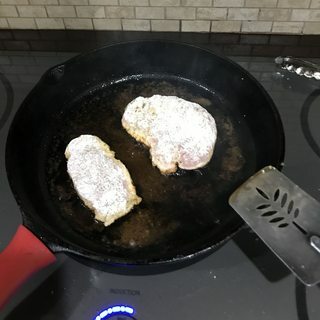 I sliced the breast across the flat to get about 1/2" thick cutlets. Seasoned liberally with Salt, Pepper, Garlic Powder, Lemon Pepper,Paprika, Cayenne, and Ms.Dash's Herb and Garlic seasoning. (No plan just grabbed anything that seemed like a good compliment to turkey) Dusted with a small amount of flour and fried them in a medium hot cast iron skillet with a couple tablespoons of EVOO a couple minutes per side depending on thickness until it was golden brown. Makes me want to kill more turkeys. Looks good! Something i do with chicken breast and even steaks is infuse the olive oil/butter with a few sprigs of rosemary. Allow the rosemary to sizzle in the pan about a minute. Then baste the meat as it cooks. It adds a lot of flavor! Not a big fan of rosemary but I like the idea.